Love Stars uses a 30mm case design; its overall feeling is generous and delicate. With soft and beautiful line, the smooth and graceful polishing interpretation of women's exquisite emotion. The rose gold watch is warm and beautiful, while the white steel watch is calm and elegant. Pearl is the best gift for female since ancient times. 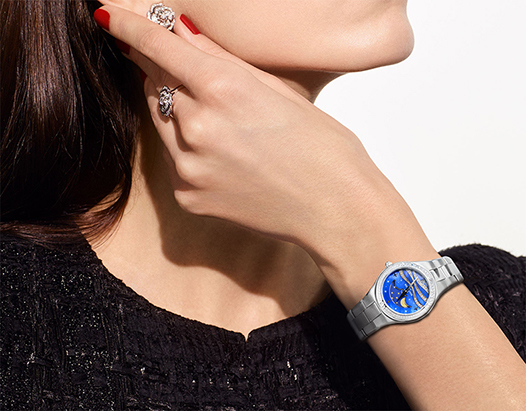 Stars watch makes the dial with mother of pearl. After carefully polished, the mother of pearl has a high gloss. Every piece of dial is the gift of nature, unique. The strap of the wristwatch is made of imported Italian calfskin with color silk cloth. 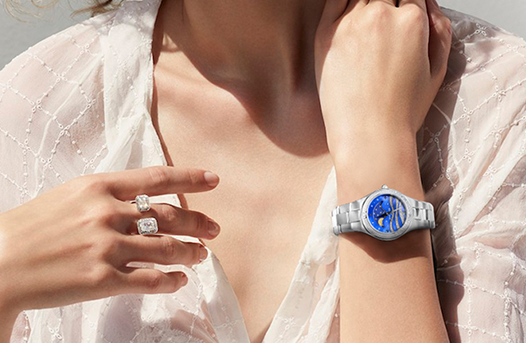 It makes the watch add much more tender feelings and fantasy of a female. Whether daily dating or collocation fashion, it will be the most beautiful ornaments, all shows women’s elegant temperament. To match the watch’s whole delicate temperament, wrist watch is used with a simple pin type clasp. Clasp is also inserted 10 Swarovski crystals. It’s sparkling and makes the wrist more confident and bright.